has also shared the finest hours in the conquest of the skies. Navitimer that quickly became a cult model for pilots the world over. “the chronograph spirit, the Breitling spirit”. 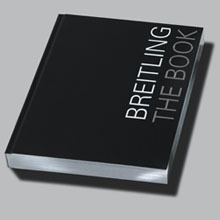 website, as well as from authorized Breitling retailers. Available in French, English, German, Spanish and Italian.